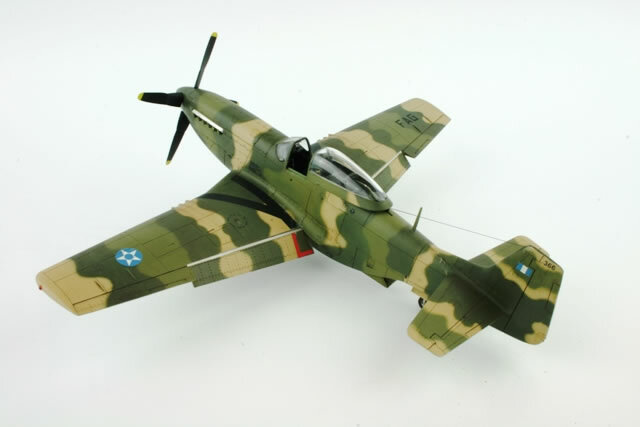 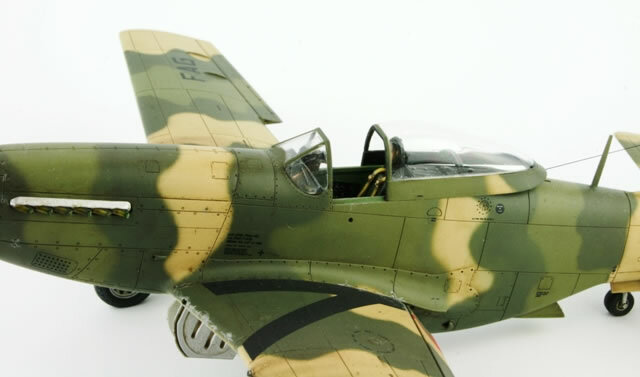 This is the second of three Latin American Mustangs that I've built from the Tamiya P-51D kit and was the most satisfying to paint given the complex and very purposeful camouflage scheme of the Guatemalan Air Force (Fuerza Aérea Guatemalteca or FAG). 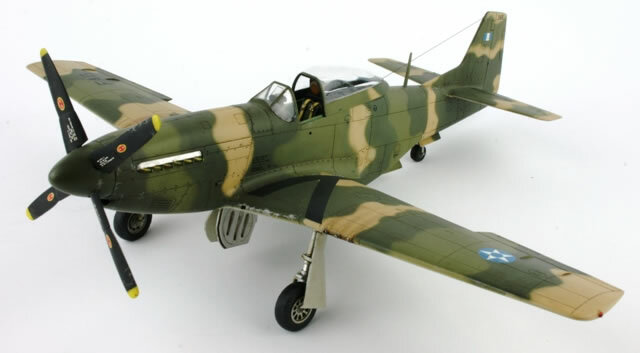 The model was built straight from the box with no significant modifications or enhancements other than the seat harness which was made from Tamiya masking tape and Airwaves photo-etched buckles. 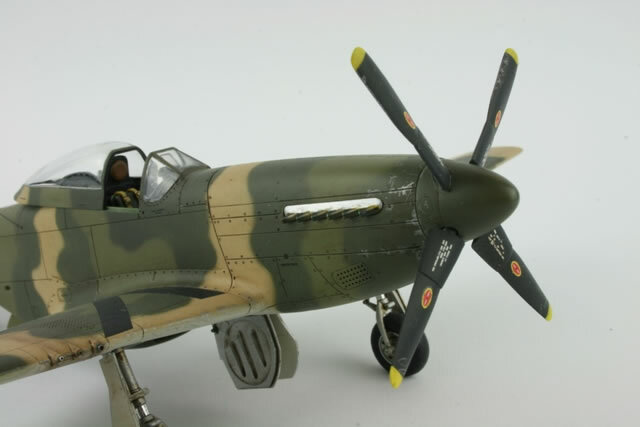 The model was sprayed with Vallejo Model Colour paints (Nos 152 – Silver Grey (underside), 95 – US Dark Green, 100 Black Green and 124 – Iraqi Sand) which I applied directly using an Iwata HP-CH airbrush and the decals are from Aztec’s “Latin Eagles IV” sheet. 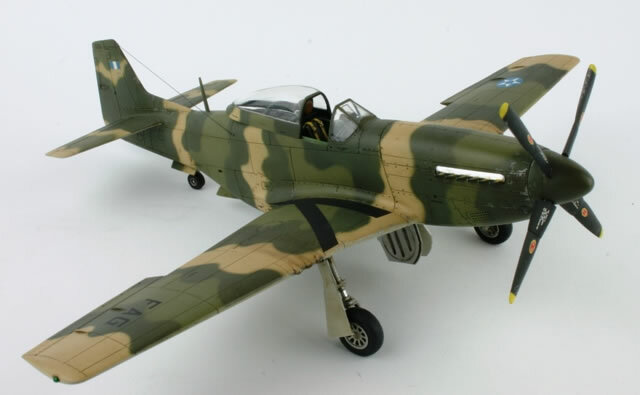 The final finish was produced by over spraying the entire model with Hannants Xtracrylix Flat Varnish. 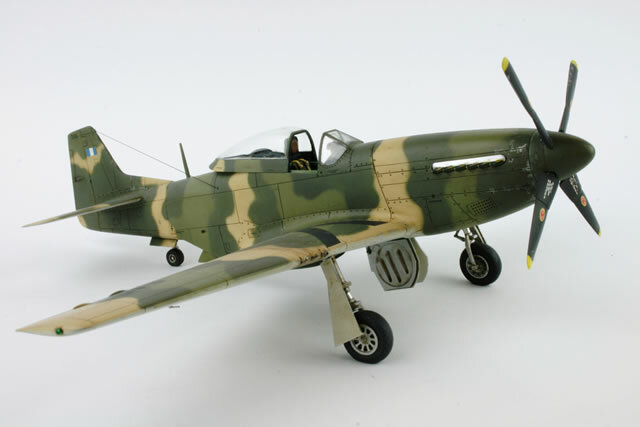 Larger format images of the model can be viewed in the Subscribers' Gallery section of Geoff Coughlin's Scale Modelling Now Magazine.